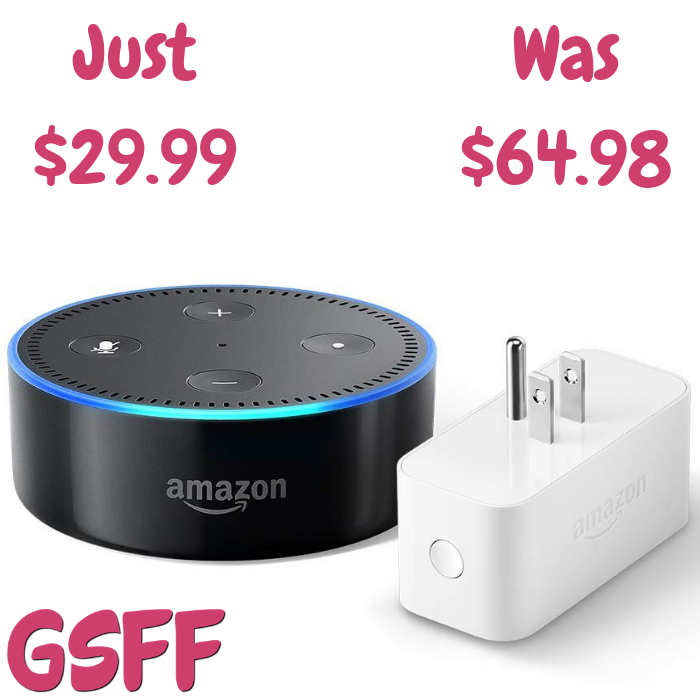 Echo Dot With Amazon Smart Plug Just $24.99! Down From $65! Shipped! You are here: Home / Great Deals / Amazon Deals / Echo Dot With Amazon Smart Plug Just $24.99! Down From $65! Shipped! At Amazon, you can score this Echo Dot With Amazon Smart Plug for just $24.99 down from $64.98 PLUS FREE shipping! Connect your smart plug to Alexa using the Alexa app for easy voice control of your lamp, fan, coffee maker or other household appliance.